Early settlers were enticed to Grand Prairie, Texas, by Peters Colony, a serious of land grants offered to investors in 1841. In 1846, Micajah and Elizabeth Goodwin arrived in the area with their nine children, but Elizabeth died just a few months after their arrival. Around the same time that the Goodwin’s arrived, David Jordan brought his sons to Grand Prairie, bringing the first slaves to the region. Descendants of one of those slaves, Mose Jordan, still live in the area. David Jordan set up a stagecoach stop, merchandise store as well as the first school in the area, building a home on what is now MacArthur Boulevard and Northeast 31st Street. His home, known as the Jordan-Bowles House, still stands today. In 1859, Marion and James Lloyd arrived from Dallas and settled on Walnut Creek. They, too, established a school which served the area for more than 40 years. Their home still stands in Loyd Park. Alexander MacRae Dechman traded his wagon and oxen for land in the area, purchasing almost 240 acres, but joined the Texas Calvary in 1862 before building on the land. Dechman never did build on the land, filing title on the prairie land in 1863. He granted the railroad right-of-way through the land, but the depression of 1873 halted railroad construction. Still, settlers flocked to what was then known as Dechman and a post office opened in 1874. A town plat was filed in 1876, allowing the Texas and Pacific Railroad to establish a depot there in exchange for every other lot in the town. In 1877, the railroad renamed the town Grand Prairie, one year after they established service to Fort Worth through the town. The name was chosen for the prairie that extended into West Texas. At the time, a trip from Dallas to Grand Prairie on horseback took an entire day. In 1902, the travel time between Dallas and Fort Worth was shortened considerably when a trolley service was established. Trolleys ran every hour from 6 AM until 11 PM and the cost for riding the trolley was just two cents per mile and the trip took just one hour and 35 minutes. That same year, the Grand Prairie Independent School District was established and a two-story brick school built on West College Street. The town was incorporated in 1909. The village suffered some growing pains as neighborhoods with homes built too close together created fire hazards. Early laws in the town forbade residents from transporting people with contagious diseases into town and playing ball in public streets. It was against the law to to shoot firearms in town and laws were passed to set speed limits as well as forbidding the sale of alcohol to minors and established punishment when people were cruel to animals. Grocery and dry goods stores were established in town along with blacksmiths, a barber, a cotton gin and a laundry. Soon, a drugstore, millinery shop, lumberyard, hardware store and carriage maker were established in town. Travelers could rest in the hotel and a small food stand offered barbecue, meats and cold drinks. One business owner installed a cement sidewalk in front of his house, which so impressed others in town a resolution was passed to commend it. Other residents and businesses soon installed the sidewalks to fight the mud that was always present on Main Street. Fire remained a problem in the growing town with bucket brigades being the only method to fight fires. A 1903 fire destroyed one of the grocery stores along with the saddle shop and a doctor’s office. A blaze in 1909 began in the train station and was not stopped before an entire city block was destroyed. Another fire just a few months later destroyed six businesses, prompting the installation of a community water system. The fire department was established in 1920 and bought its first motorized fire engine. A new history in Grand Prairie began when Curtiss-Wright Flying Service was established in 1929. In 1940, the Navy began using Hensley Field as a reserve location and, in 1941, North American Aviation opened next to the Navy base. Today, Grand Prairie has been named the tenth safest major city in Texas by the FBI’s Uniform Crime Reporting System. Wallethub.com has named it the number one location for starting a career and the sixth in terms of housing affordability in the country. It also ranks the city as the tenth best city for families. Grand Prairie Independent School District has 40 schools throughout the district. There are 24 elementary, seven middle and one ninth grade center. There are four high schools, three schools with grades six through 12, one school with grades 7 and 8 as well as one alternative school. There are 27,740 students enrolled in the district. In 2015, there were 4,845 graduates and students earned almost $12.3 million in scholarships. The Verizon Theatre at Grand Prairie is an entertainment venue offering one of the most flexible and advanced indoor performance spaces in the country. Many who have performed at the location call it the theatre of the future. The venue offers comfortable seating, elite luxury suites with private entrances, upscale catering and convenient parking. Entertainers such as Martin Lawrence, Brit Floyd, New Edition, Chris Tucker and Culture Club have played at the Verizon Theatre. Anyone seeking Eastern goods, services, flavors or festivals will love Asia Times Square and Hong Kong Market. Each year on the Lunar New Year, the Flower Festival is held in Asia Times Square and it is home to the largest Asian grocery store in the area. Hong Kong Market offers a wide variety of Asian foods from Hong Kong, Vietnam, China, Japan and more. The atmosphere is fun and cozy, offering some of the best seafood, produce and meat available. Loyd Park consists of more than 790 acres of native Texas landscape along the shores of Joe Pool Lake. Camping sites are available along with cabins and large picnic pavilions. There is a four-lane boat ramp with trailer parking, a boat dock and a swimming beach. There are hiking, biking and equestrian trails as well as volleyball and softball fields. There is even a paddling trail with canoe or kayak rentals available. Visitors may also lodge in the Loyd Park Lodge and the historic Loyd Home. The lodge offers rockers, grills, a fire pit and many other amenities. Grand Prairie, Texas offers many activities for the entire family and has been ranked as one of the best places to raise a family. 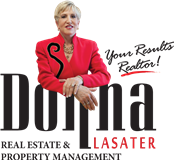 Contact Donna Lasater to learn more about properties for sale or rent in the Grand Prairie area.